This incisive study adds a new dimension to discussions of Egypt's nationalist response to the phenomenon of colonialism as well as to discussions of colonialism and nationalism in general. Eve M. Troutt Powell challenges many accepted tenets of the binary relationship between European empires and non-European colonies by examining the triangle of colonialism marked by Great Britain, Egypt, and the Sudan. 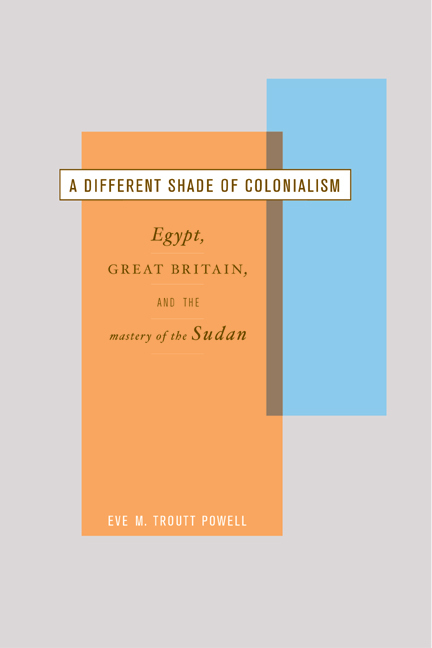 She demonstrates how central the issue of the Sudan was to Egyptian nationalism and highlights the deep ambivalence in Egyptian attitudes toward empire and the resulting ambiguities and paradoxes that were an essential component of the nationalist movement. A Different Shade of Colonialism enriches our understanding of nineteenth- and twentieth-century Egyptian attitudes toward slavery and race and expands our perspective of the "colonized colonizer." Eve M. Troutt Powell is Assistant Professor of History at the University of Georgia.